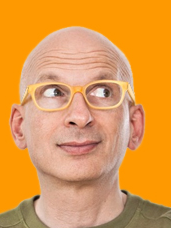 Seth Godin is one of the best known bloggers in a digital ocean full of bloggers. I love him because we always seem to agree and he adds more information to the topic being discussed than I had before I began reading. Today, Seth's blog is about book selling and publishing and the demise of bookstores and traditional publishing. I thought about grabbing a few of his comments but couldn't decide which ones so here's his entire blog and a link to his website - Enjoy! Books, those bound paper documents, are part of an ecosystem, one that was perfect, and one that is dying, quickly. Ideas aren't going away soon, and neither are words. But, as the ecosystem dies, not only will the prevailing corporate systems around the paper book whither, but many of the treasured elements of its consumption will disappear as well. THE BOOKSTORE as we know it is doomed, because many of these establishments are going to go from making a little bit of money every day to losing a little bit. And it's hard to sustain daily losses for long, particularly when you're poorly capitalized, can't use the store as a loss leader and see no hope down the road. The death of the bookstore is being caused by the migration to ebooks (it won't take all books to become 'e', just enough to tip the scale) as well as the superior alternative of purchase and selection of books online. If the function of a bookstore is to stock every book and sell it to you quickly and cheaply, the store has failed. THE LIBRARY is limping, partly because many of them have succumbed to being a free alternative to Netflix or the boarded-up Blockbuster. As fewer people dive into a sea of printed books, libraries will have no choice but to stop stocking that sea with expensive items that few use. THE TRADITIONAL PUBLISHER is culturally connected to the bookseller. That's their customer, not you, the reader (ever tried to call customer service at a book publisher?). As the bookseller disappears, and as the open nature of the ebook platform rewards individuals and quick-moving smaller entities, many in traditional book publishing will find their particular skills no longer valued the way they used to be. SINGLE TASKING is an anachronism. As soon as ebooks moved from the Kindle to the iPad, the magic of reading was threatened by the opportunity ("for just a second") to check on email, Words with Friends or an incoming text message. READING FOR PLEASURE was largely extinguished by four generations of not-very-good teaching philosophies. By treating a book as homework and a punishment, we've raised people to not look forward to reading. More than once, friends have said, "you should be really pleased, I even finished your new book." My guess is that no one says that to Laurence Fishburne about his new movie. There's no real ebook piracy problem because most people don't think books are worth stealing. THE BELOVED SHELF (or wall) of books is less well-thumbed and less respected than it was. We're less likely to judge someone on their ownership and knowledge of books than at any time in the last five hundred years. And that shelf created juxtapositions and possibilities and prompted you when you needed prompting. Ten generations ago, only the rich and the learned owned books. Today they're free at the local recycling table. THE PAVLOVIAN RESPONSE will fade. You go to a bookstore, a quiet, civilized respected greenhouse of ideas. A person you connect with hands you a book, wraps it, charges you a surprisingly small amount of money and you go home, ready to curl up for five or six or thirty hours, to immerse yourself in a new world or a new set of ideas. And then you will take that volume, one that's designed to last for a century with no technology necessary, and either share it with a friend or place it in just the right place on your wall. Your brain was wired to be taught to be open to these ideas, to be respectful of the volume itself, because all of the elements of the ecosystem, from the author who took a year to the editor who curated the book to the jacket designer and the printer and the store... they all aligned perfectly to create this method of consumption. None of these changes, by themselves, are enough to kill a venerable information delivery and cultural touchstone like the book. But all of them together? I'm writing this on a train filled with educated, upper income suburban commuters of all genders and ethnicities (book buyers, until recently). I can see 40 people at a glance, and 34 are using electronic devices, two are asleep and exactly one person is reading a traditional book. Yes, we're entering a new golden age for books, one with more books and ebooks being written and read today than ever before. No, books won't be completely eliminated, just as vinyl records are still around (a new vinyl store is opening in my little town). But please don't hold your breath for any element of the treasured ecosystem to return in force. Is it traitorous to my tribe to write these words? I'm not arguing that we should push the ecosystem out the door, but I am encouraging us to not spend too much time trying save it. First, it's a losing battle, but more important, we have bigger opportunities right in front of us. Twenty years ago, I saw the web and wrote it off. I said it is a cheap imitation of Prodigy, but slower and with no business model. Partly, I just didn't see. But a big part of me wanted Prodigy (my client) to succeed, along with a business model I understood. As a result of my arrogance, I missed the opportunity to take advantage of a brand new medium. I fear that our cultural and corporate connections to books as a delivery system may blind us to the alternatives. I'm not as bitter as I might be, as we've traded in our books for some fabulous alternatives mixed in with the time-wasters. But yes, after 500 years, after building not one but several industries around the creation, publication, distribution and storage of books, I'm pretty nostalgic. I called this post, "An end" as opposed to "the end." As always, we'll reinvent. We still need ideas, and ideas need containers. We've developed more and more ways for those ideas to travel and to have impact, and now it's up to us to figure out how to build an ecosystem around them. As they say in the movies, "that concludes Seth's comments." My final word on the subject is, time is a reference point, a "you are here sign at a particular point in the infinite universe. Time is not an object to be captured, fondled, and displayed. Knowing where you are and where you are going is all you need to know about "time management".